Condensation is the passing of a substance from a lighter to a denser physical state. In this instance, water passes from a gaseous (vapor) state to the denser liquid one. Because it is caused by too much humidity, condensation is also the symptom of a more serious problem - excessive moisture at work in your home's atmosphere. In seeking cooler, drier outside air, water vapor exerts pressure and forces its way through most building materials. Wood, brick, and drywall are too porous to stop moisture from migrating to the outside. But because window glass is denser and its surface colder than the surrounding walls, vapor is stopped by glass and condenses on it. While glass - the coldest, least porous (and most visible) material in a building may show condensation first, it may also be noticed on exposed nail heads and other metal surfaces. A ratio between the water vapor in the air compared to the maximum amount that air can hold at a given temperature. For example, 50% means the air is carrying 1/2 of the total water vapour it is capable of holding at that temperature. A particular temperature where the relative humidity becomes 100%, called the 'Dew Point' (see chart). At the dew point, the air is saturated with moisture and begins to lose it in the form of condensation. *Note: A new home has significant quantities of moisture because of the water used in various areas of construction (700 gallons of water are used in plastering alone for a six room house!) This will be eliminated after a period of time. Unless indoor humidity is kept below 10%, it is impossible to avoid some condensation. Lower outside temperatures require lower inside humidity levels. Electrically heated homes are difficult to rectify because there is very little movement of air. 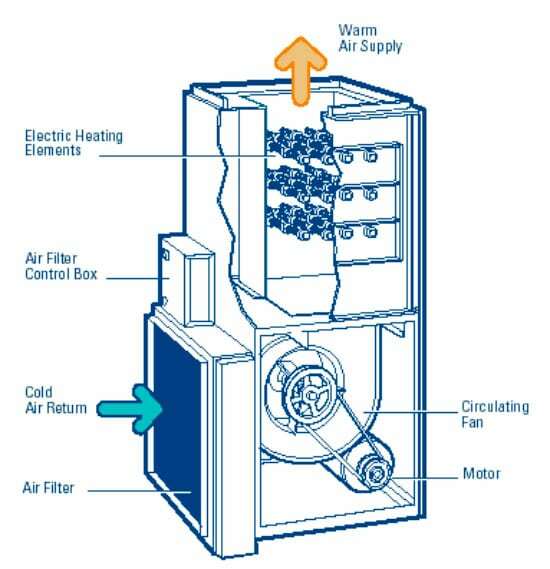 Ventilation is generally the most effective means available to reduce humidity and can be done by opening windows, operating exhaust fans and/or installing a ventilator from outside into the cold air return plenum of a forced air heating system. National Research Council (Division of Building Research) Rolscreen Co.